When the Houston area weather turns cooler, it is important to have a dependable heating system in place. Before the thermostats need to be turned up, it is wise to consult with a Katy HVAC repair company to inspect your system and fix problems before it gets cold. There are many heating and cooling options available to keep your home at a comfortable temperature throughout the year. Most homes with central heating systems use furnaces or heat pumps. Furnaces come with labels that display their annual fuel utilization efficiency. New heating units are more efficient than ever before. 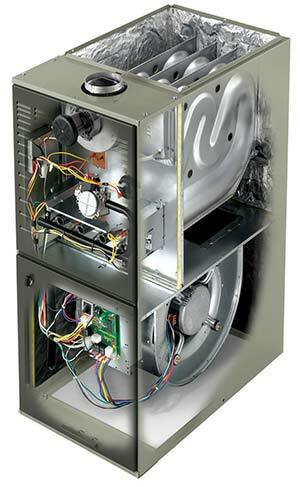 For instance, a new furnace can save you up to 25 percent in fuel costs throughout its useful life. When considering a new purchase, it is smart to look for an Energy Star label. Top efficiency units include features like electric ignition and sealed combustion technology. Each residential heat pump sold in this country includes an EnergyGuide label. This helps compare the level of efficiency in each system. The heating seasonal performance factor measures how well the pump provides heat during a certain period of time. Its seasonal energy efficiency ratio shows how well the unit cools the home as well. The most efficient heat pump contains a high SEER and an HSPF above 9. 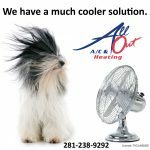 A Sugar Land HVAC repair expert at All Out A/C & Heating will help you choose a unit that will work the best for your individual needs. Some of the newest and most innovative products on the market are hybrid heat dual fuel systems. They combine the advantages of a gas furnace and an electric heat pump to provide top efficiency and comfort throughout the year. As your home remains at the ideal temperature, your utility bills drop. The system automatically switches between the pump and furnace to provide the most cost-effective heating solution and greatest efficiency. Also, this type of heating unit works with different fuel sources. This means it offers a buffer from unpredictable fuel cost increases. Thanks to the systems high efficiency, heating costs are much lower than with an individual gas furnace. Besides choosing an efficient heating system, it is essential to have a Sugar Land air conditioning repair technician inspect your ductwork for heat loss. Since a home can lose up to 35 percent of its energy output when ducts are not functioning correctly, an experienced professional will seal and insulate problem areas in attics and crawlspaces and verify proper airflow. 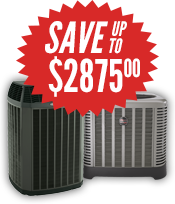 All Out A/C & Heating offers a customer guarantee so that you know our Katy air conditioning repair technicians always provide professional, reliable services. You can trust your heating and air conditioning system design, installation, and repairs to us. We offer the highest quality services at affordable rates. For more information, call us at 281-238-9292.